PM announced during a video interaction with Asha, ANM and Anganwadi workers from across the country. New Delhi: In good news for thousands of Asha and Anganwadi workers, Prime Minister Narendra Modi on Tuesday announced a hike in their monthly honorarium from October. 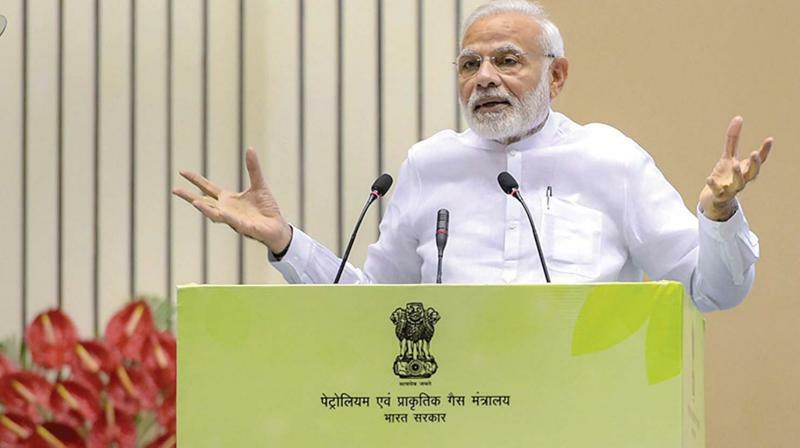 The social health activists will not have to pay any premium for the insurance coverage and will get Rs 4 lakh in case of any untoward incident, the prime minister announced during a video interaction with Asha, ANM (auxiliary nurse midwife) and Anganwadi workers from across the country. He said the revised incentive will come into effect from October and it will reflect in their salaries from November onwards, which would be a Diwali gift for them. Those who drew an honorarium of Rs 3,000 will from now on get Rs 4,500 and those who used to get Rs 2,200 will get Rs 3,500, he said. The honorarium of Anganwadi helpers will be hiked from Rs 1,500 to Rs 2,500, he said. These are the routine incentive given by the Centre to Asha and Anganwadi workers. The state governments also give them a separate incentive. Asha and Anganwadi workers are playing a critical role in strengthening the foundation of the country, ensuring health and wellbeing of the newborn, ensuring nutritional standards and maintaining cleanliness, he said. The prime minister also announced that Anganwadi workers and helpers using techniques such as common application software (ICDS-CAS) would get additional incentives. The incentives, ranging from Rs 250 to Rs 500, would be based on performance. He said the government's flagship health insurance programme Ayushman Bharat will be launched from Jharkhand on September 23, and the beneficiaries have already been identified. Karishma, a newborn in Karnal district of Haryana, is the first beneficiary under this scheme, he said. During his interaction, the prime minister laid emphasis on redoubling efforts to reduce anaemia-related illness in the country by three times, the reduction rate of which currently stands at only one per cent. September is being devoted to nutrition and "Poshan Maah" aims to reach every household in the country with the message of the importance of optimum nutrition.